Great Contribution to the Development of Canadian Economy- Statistics Show That 25% Of Canadian Workers Are Immigrants. 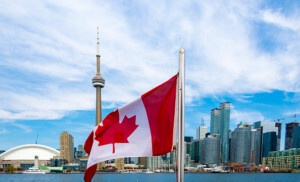 During the last few years, Canada introduced major changes to its immigration system to address skilled labour shortages, namely the introduction of the Express Entry. November 2017 had four Express Entry draws. A total of 5,545 Invitations To Apply have been issued in November alone, adding to an already record-breaking 2017 on the Express Entry front. A total of 28 draws so far this year have seen more than 80,500 Invitations to Apply. As a result of skilled worker-oriented programs, in 2016, immigrants represented half of all workers in the Toronto. Vancouver, British Columbia had 43.2% of immigrants in its labour force, Calgary – 32.5%. A number of Canadian provinces also have Express Entry-aligned Provincial Nominee Programs designed to address their labour needs. In order to enter the Express Entry pool, interested candidates must be qualified for one of the Express Entry programs. Candidates are assessed based on their skills, work experience, language ability, education, and other personal information. The new census data also revealed that more than 50 percent of recent immigrants to Canada have a bachelor’s degree or higher. Education is a key qualification under the Express Entry Comprehensive Ranking System and international post-secondary students studying in Canada are beginning to benefit from new programs that make it easier for them to integrate into the Canadian labour market after their studies and eventually gain permanent residence. Read more about study permit Canada. Immigrants are also more than two times likely to hold a master’s degree or Ph.D. than the Canadian-born population. Among immigrants aged 25 to 64, 11.3 percent had a master’s or doctorate degree compared to just five percent of those born in Canada. The number is even higher among immigrants who arrived in Canada over the last five years, with 16.7 percent holding a master’s or doctorate degree. The new minimum wage in Ontario is likely to attract new immigrants to the province. Canada’s immigration system is paying off in terms of the number of skilled and highly educated immigrants that are being invited to build a new life in Canada.